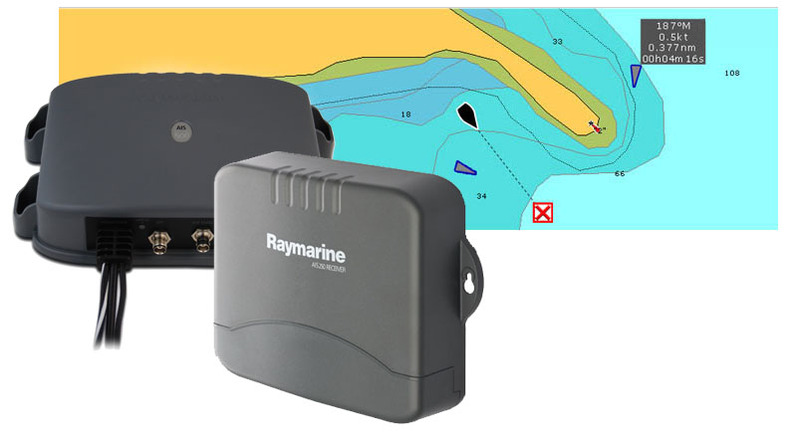 Raymarine AIS250 and AIS500, Excellent Automatic Identification Systems that will enhance your safety in sea by monitoring other vessel data. Competible with A-Series, C-Series Widescreen, E-Series, and G-Series Multifunction Displays. AIS permits the exchange of navigation information between vessels and shore-side vessel traffic centers. AIS uses digital radio signals to broadcast information about the vessel to other ships and shore based stations via dedicated VHF frequencies in the maritime band. It will not replace radar data but it can be used as a significant enhancement to knowledge about vessel around you. AIS 250 is a receiving only device and the AIS 500 is a transceiver.